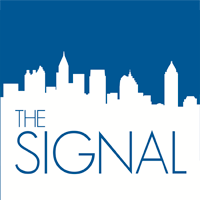 In the last two weeks, The Signal published three inaccurate pieces—two articles and an opinion column. Hard lessons were learned. As editor-in-chief of this publication, I take full responsibility. No excuses. The two news articles, “College of Law receives half a million dollar grant for Public Health Law” (Jan. 29, Issue 18), “Georgia State Marching Band turns down Dragon*Con” (Feb. 5, Issue 19) and the opinion column, “GSU, why skip Dragon*Con?” contained factual errors and should not have been published as they were. However, I continue to stand by our columnists right to publish an opinion. While this does not mean I endorse their point of view, it is a right I would not deprive from anyone at Georgia State. My only concern is the erroneous information that was published. The inaccuracies are not acceptable, not for you or The Signal. It is obvious our current fact-checking system was simply not working. As such, we have implemented new procedures to avoid these kinds of mistakes in the future. These procedures include a detailed and revised fact-checking checklist, mandatory one-on-one editing sessions and extensive story planning. It is teachable moments like this that remind us we are not immune to the kinds of bumps and bruises endured by the professional world. We too can fall into the trap of chasing that career-making news story that ends up exploding in your face. It’s a misstep seen far too often in our field. And just as often, we end up going on the defense, reacting exactly the same as the public in feeling attacked and unjustified. It was a statement made out of frustration and in defense of my staff, but an apology is owed to you for a comment that showed a lack of respect to our readers. You have been the engine of our redesign and rebooting efforts to best serve Georgia State and you deserve accurate reporting. Additionally, I want to be clear about what is not The Signal’s mission. We harbor no ill will towards any organization, student or administrative. We do not want to demonize anyone, nor do we want to ruin anybody’s life or career. We’re not a PR engine for the university—that job belongs to University Relations. We’re not obligated to only write “positive” stories, nor are we always on the hunt for “negative” stories. Despite how things may be perceived, it is simply not the case with us. All we want to do is to learn and practice good journalism, which is part of our greater mission to serve the Georgia State community. But in order for us to produce accurate and in-depth stories, there must be cooperation between both parties. And in order for that to occur, there must be trust between them. If there is one thing you can take away from this, it’s that we will be working harder than ever to provide you with reliably accurate news and in-depth stories. We are ultimately grateful that our readers were able to quickly notify us of the inaccuracies. Reporting these mistakes will allow us to pay closer attention, to verify every single bit of information and make sure every source is reliable. Lastly, I want to urge you to let me know if you ever have any concerns. I practically live in The Signal‘s newsroom, so you are free to come by any time on Mondays, Tuesdays, Thursdays and Fridays. You can reach me at signaleditor@gmail.com or tweet me @SabastianW1. You’ve got questions, I’ll do my very best to get you the answers. These last two weeks have taught us what our primary obligation as journalists are: to serve our readers and our community. Awards mean nothing, but our audience means everything. Kudos for a professional response. This is the kind of correspondence I would expect from a newspaper. I hope that in the future, The Signal will continue to improve itself and make strides toward being the best newspaper it can be. I hope some of the other members of the marching band will put down their pitchforks long enough to be willing to give you guys a chance to put out better quality articles. Voicing disagreements in a respectful manner is the proper way to resolve differences. Thank you for addressing our concerns… That’s all we can ask for! Well done. Humility is an important component of good journalism.